ARR Craib MSA Scottish Rally Championship (SRC) title protagonists Andrew Gallacher and Donnie MacDonald aren’t letting the pressure get to them as they prepare to battle for the 2018 SRC title on the Galloway Hills Rally. Hurlford’s Gallacher holds a three point advantage over Inverness driver MacDonald as the pair head to Castle Douglas, but with dropped scores considered, that gap stretches to five meaning Gallacher is in the ascendancy ahead of the final round. The Ford Focus WRC pilot has had a stellar season with co-driver Jane Nicol alongside. 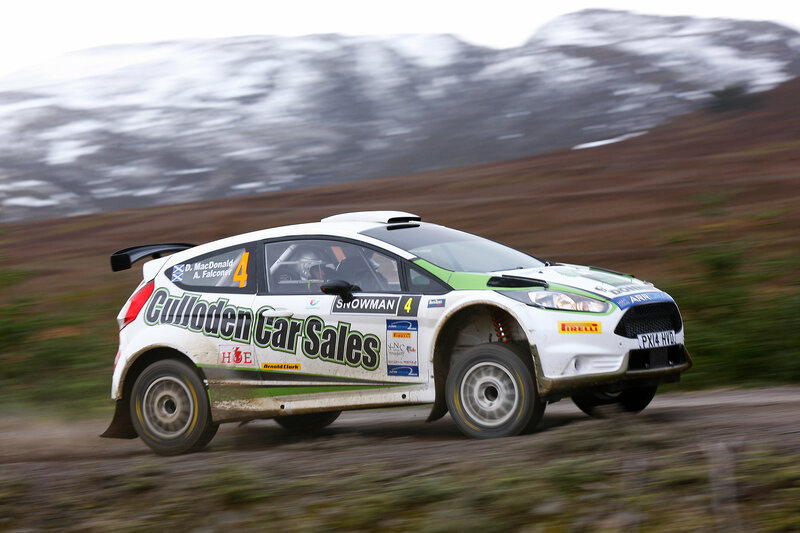 Taking a superb maiden win on the Snowman Rally, Gallacher endured a couple of challenging events on the Speyside and Scottish before crucially pipping MacDonald to the win in Argyll. 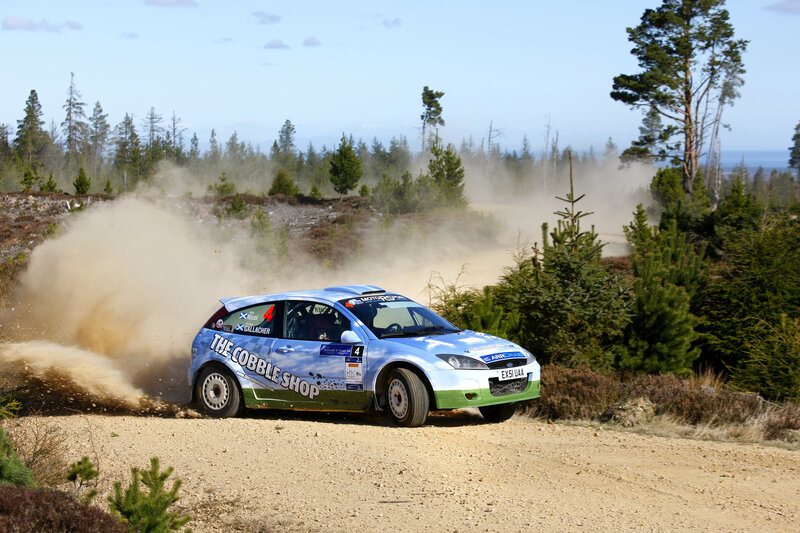 A solid fourth place to MacDonald’s sixth last time out on the Grampian means Gallacher is in control of his own destiny on the Galloway Hills, with navigator Nicol already scooping up the co-drivers’ title such has been the pair’s consistency. MacDonald’s task is a little trickier. Even if he beats Gallacher on round six, he needs others to get between him and his rival to take the title. The Ford Fiesta R5 is a car that didn’t suit the 2016 Snowman winner last year, but more seat time and subtle changes to his driving style has allowed MacDonald to fly with the potent machine. With two podium finishes to his name (Snowman, Argyll) this season has been a marked improvement for MacDonald, although the last handful of rounds have caused frustration as the pace has been there to, at the very least, challenge for the win. The championship permutations are fairly clear for both drivers. If Gallacher beats MacDonald next weekend the championship is heading to Hurlford, whereas for the title to head north for the first time since 2008, MacDonald needs to finish no lower than second. Should MacDonald finish second Gallacher must be no lower than seventh, while if he wins Gallacher can afford to be fifth or higher to still take the championship. “We just need to be sensible,” Gallacher admitted. “The Galloway Hills is one of the events I go better at. I’ve never really done a full championship so I don’t get as familiar with the stages as maybe some others do, but I’m a bit more comfortable on this event. I just need a clean run without pushing any limits, which I should be capable of. MacDonald meanwhile has been left to rue some mistakes and misfortune that have made his job a lot harder. 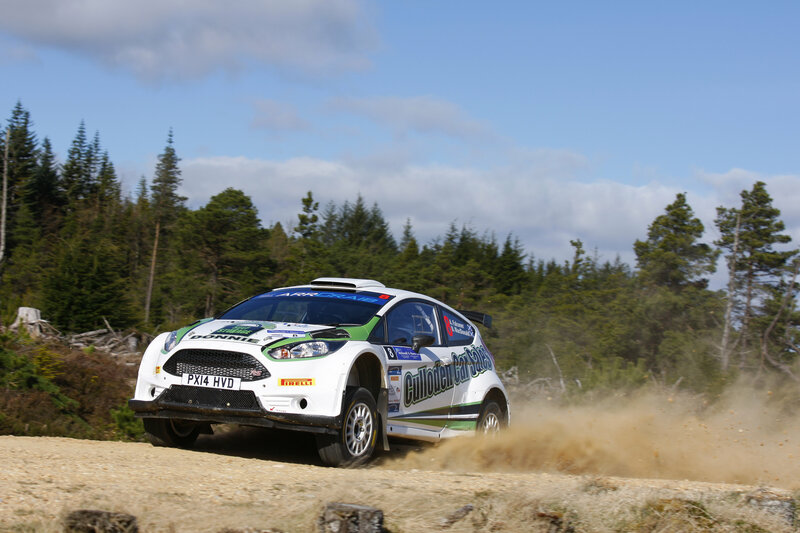 “The improvement we’ve shown in the car over the last couple of events has been absolutely fantastic, but there’s bits of pieces like the stall in Dunoon and the puncture on the second stage [of the Grampian] that ultimately haven’t helped,” he said. “We’ve had loads of little pieces of bad luck all at the wrong time. The 2018 ARR Craib MSA Scottish Rally Championship has lived up to its fiercely competitive reputation all year, and it doesn’t look like that’s about to end on the Galloway Hills Rally. While all attention will be on the title scrap, the battle at the front is set to be hotter than ever with series stalwarts David Bogie and Mike Faulkner returning to join the likes of Jock Armstrong, Fred Milne and Garry Pearson, making the battle for victory one not to be missed. As for the championship, the honour of winning the title this year will be that little bit sweeter for either Gallacher or MacDonald in the SRC’s 50th anniversary year, with it arguably being that more special for Gallacher who would seal a slice of history by ensuring that 10% of all Scottish Rally Championship titles will have been won by a Gallacher. Andrew’s father Drew won the series four times in 1973, ’78, ’79 and ’80. 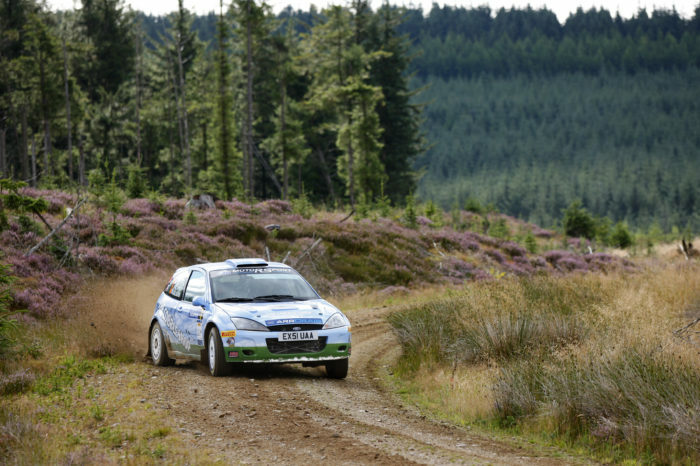 The next round of the SRC is the Galloway Hills Rally on Saturday 8th September.